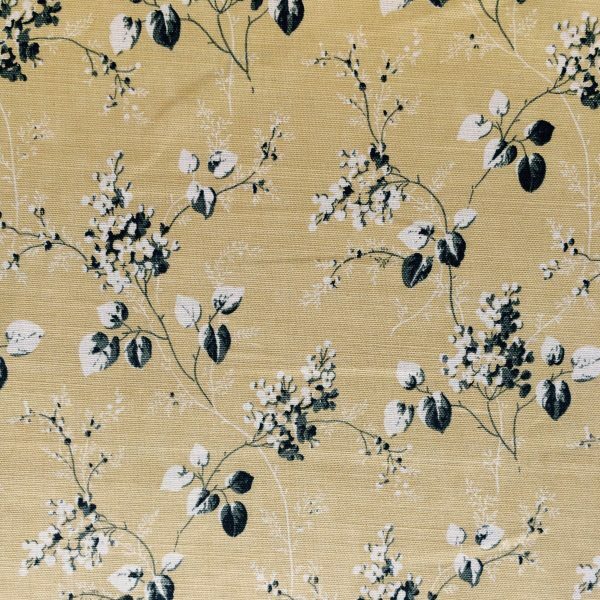 Product code: N16 Categories: Floral & Trees, Greys & Blacks, Luxury Fabric, Mixed Blend, Scutt & Coles, Yellows. 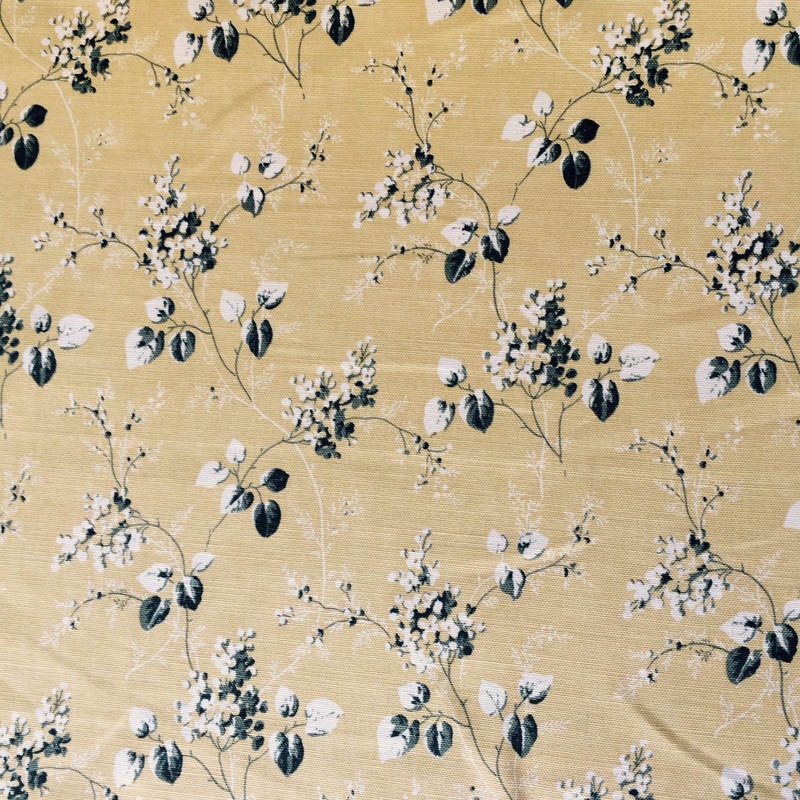 Albertine Dijon by Scutt & Coles is a vibrant floral fabric. The delicate floral pattern is in black with white accents. The fabric base colour is a warm yellow. This is a great fabric to introduce some colour into a room, the black and yellow colour combination is bright without being overpowering. Albertine Dijon would be a welcome addition to a sitting room made up into curtains. There is a good pattern coverage to make a blind and scatter cushions. This fabric is strong enough to be used for a chair slip cover for occasional use. Albertine could also be used for light upholstery.